Get as much time with your kids as possible? Protect yourself against dirty, vindictive tactics? Calculate the asset split you should expect? Know how to deal with the court system? Then this book may be what you’ve been looking for. You see, the simple truth is when it comes to divorce in Australia is that the scales of justice really do seem to tip toward women. If you are not careful, if you do not enter your divorce with critical pieces of knowledge, you could risk losing EVERYTHING! During financial negotiation, men tend to overpay and end up struggling to make monthly payments and their wives are using the extra money to get “beauty treatments”, buying new clothes or a fancy car so they can trap the next poor guy that comes along. I’m here to tell you that I’ve been where you are now. My ex-partner and I separated in 2009 and for the first few weeks I felt like I’d been hit in the stomach with a sledgehammer. I started going through the court system, talking with lawyers, with CSA, with government agencies. I have written a guide to pass on the knowledge it cost me $25,000 to learn. This is the information that lawyers don’t want to get out – why? Lawyers don’t care about you, they care about the fee you’re going to pay them. They are in the business to make money, not to help you get the best financial outcome and the most contact time with your kids. One of the biggest mistakes you can do is to hire a high priced solicitor and let them run your entire case. You’re the person who knows the most about your case, not a lawyer. This is why it’s so important for you to increase your knowledge about your settlement and divorce and why it’s critically important for you to read my new eBook – “Divorce in Australia”. A lot of the books you will see advertised online or in book stores about divorce are written for the American market and while some of more general information may apply, a lot of it won’t. This book has been written specifically for Australian men and shows you how to get the best possibly financial outcome and the most contact time with your kids. Look, I’m not going to lie to you. I’m going to tell you now that you will definitely have to pay some money to your ex. You may even have to pay a lot of money – and there’s no product you can buy or lawyer you can hire that will change that, assuming your ex is willing to go to court and fight for it. The way you can protect yourself from being rolled is to educate yourself about the options you have available and the legal processes you can use (and that she can use!) to minimise the amount of money you will need to pay. Sure, you can find out most of this information from your solicitor (assuming you’ve picked the right one). Spend enough time and you may even be able to find most of it online. But do you really value your own time at zero? It costs many hours each night in front of the computer, doing research on the internet. It costs a lot of money asking those same questions in your solicitors office. And while you’re spending that time doing all your research, your ex is sitting at home planning her next step to relieve you of your assets or time with your children. I’ve done all that painful research for you. I’ve spent the money, spending hours with my solicitor(s), asking the questions, spending hours online reading and understanding the Family Law Act and the Family Violence Protection Act. Once I finished the first draft of the book, I’ve paid to have it reviewed by two specialist family law practitioners – just to ensure I’m not telling you anything stupid! This book is easy to understand and is full of basic step-by-step instructions written specifically for men facing divorce. This guide is written in simple language and is extremely easy to read. You won’t find any “legal speak”. This ebook will make you a “divorce insider” with a better understanding of the process than your spouse – which just puts you one step ahead of the game. 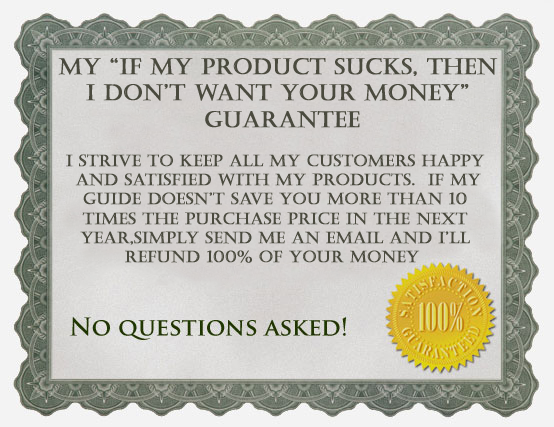 I believe in my product so strongly that right now I’ll let you download my ebook for FREE. I’m serious, this isn’t a scam. You download the ebook now, for free and you have 7 days to read through it and absorb the information. If you feel you received value for your money, then all you have to do is .. nothing! Your card will be charged $49 after 7 days. This charge will appear on your card as “PLI*AUS GUIDE”. Or if you feel I’ve ripped you off, scammed your money and my eBook is worthless, you can submit a request through our payment processor (Plimus) and your card will never be charged! I’d be very surprised if you truly feel you didn’t get any value from this book and I’m expecting some people will take advantage of this offer to never pay. I feel so strongly that once you read the book you’ll see the value and act honestly. That basically means you’ll be getting all this incredible divorce information for what you would pay for about 10 minutes of your lawyers time! This ebook was written to give you a thorough understanding of the divorce process because you will get a much better settlement and child contact arrangement if you know going in how things REALLY work. I know it can be tough when going through a separation and divorce. It can be very stressful on both you and the people around you. Because of this, I’ve done a deal with the guys at Stress Management Secrets and can offer a copy of their ebook to you absolutely Free! This is normally $17 worth of value and it’s yours to keep, no strings attached. You’ve worked too hard and gone through too much to just give away everything that you’ve accumulated over the years. You deserve to be able to keep YOUR STUFF. But to do that, you can’t just rely on the goodness of others – particularly when shattered hearts and broken dreams are involved. It’s just too easy for spite and jealousy to enter the picture. You’ve got to learn how to fight for what’s yours. You’ve got to read the “Divorce in Australia” ebook. In fact, after reading, “Divorce in Australia” you will know exactly how to achieve your divorce goals – and since this ebook is available as an instant download you will be able to begin benefiting from the expert advice and information it contains immediately! You could be reading this downloadable electronic book within a few minutes and start implementing the tactics described in the book Straight Away. The book format is .pdf which can be read on all current eReaders, on your PC or Mac (using the free Adobe Acrobat Reader) or can be printed out and read the old fashioned way. Additional formats are available on request. 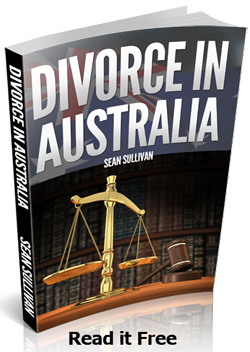 I am offering to those who downloaded “Divorce in Australia” and did not cancel a physical copy of the book. Yep, a handy resource to keep on your book shelf when you’re away from your computer or you can share it with a friend. We will mail this to you after the 7-day trial period, and you get your free stress book immediately. Buy “Divorce in Australia” and get the knowledge you need to protect what’s rightfully yours. A physical copy of “Divorce in Australia” mailed to your address after 7 days when your credit card has been processed. 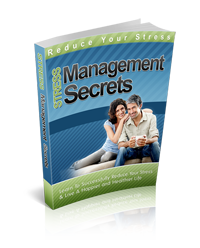 Note that you can also buy the book from Amazon.com, but you will have to pay Amazon immediately, will not receive an eBook (pdf) version and will not receive the a copy of “Stress Management Secrets”.